We don’t really need any other reason to be excited about Erik Matti’s upcoming film, Buy Bust. There’s already the director’s celebrated body of work (including and especially On The Job), the convincing impression that his next film will hit hard about today’s sociopolitical issues, and well, there's also Anne Curtis. And while the trailer doesn’t offer too many more concrete details about the plot—which appears to involve a PDEA buy-bust operation and a slum ambush—it does offer a big hint about the film’s political undertones. 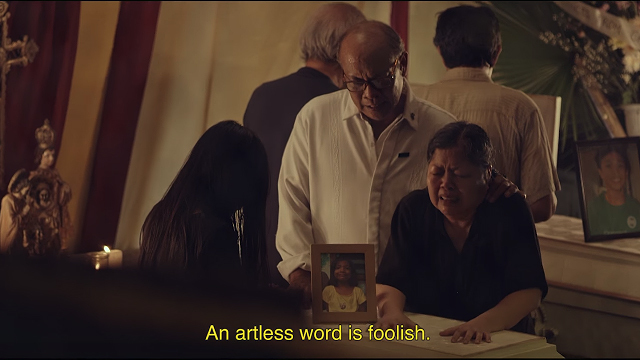 This trailer is narrated by Chel Diokno, son of Martial Law activist Jose W. Diokno and a prominent human-rights lawyer like his father before him. Diokno recites translated excerpts from a poem entitled “An die Nachgeborenen” by Bertolt Brecht, a German author from the Nazi period. The poem’s title roughly translates to English as “To Those Born Later” or "To Those Who Follow in Our Wake." It’s a three-part poem that, like many of Brecht’s other works, is significant in the canon of exilliteratur or German exile literature, a body of German-language works by anti-Nazi writers who fled during or before the World War II. Brecht is one of the best-known exile writers, along with Hannah Arendt—dissidents in a time of tyranny. Believed to have been published in 1939, “An die Nachgeborenen” is about Brecht’s personal struggles with his conscience during the early stages of the Weimar Republic, as the Nazis began to rise to power. The poem is organized into stages of dismay with himself and with the state of his country. 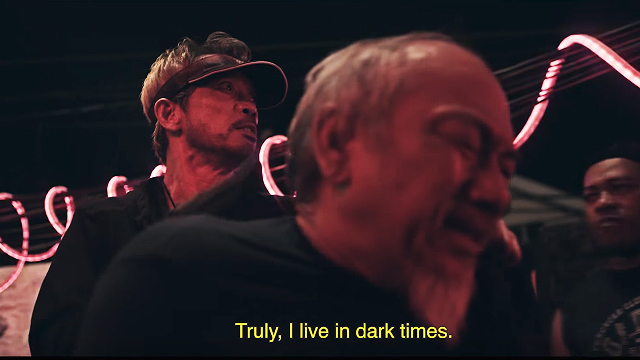 The Buy Bust trailer uses a Filipino translation of “An die Nachgeborenen” by journalist and Martial Law activist Pete Lacaba for the narration, while its English subtitles are a translation by Scott Horton published in Harper’s Magazine. Here is that translation, with the excerpts used in the Buy Bust trailer highlighted. That I do gives me the right to eat my fill. They tell me: eat and drink. Be glad to be among the haves! And those who thirst do not have my glass of water? I would happily be wise. And I rose up with them. The time given to me on earth. I ate my food between slaughters. I laid down to sleep among murderers. I tended to love with abandon. In my time streets led into a swamp. My language betrayed me to the slaughterer. The rulers sat more securely, or so I hoped. Could hardly hope to reach it. Consider the context in which Brecht wrote this poem, and how its message applies so directly to the situation that we’ve found ourselves in. It’s a chilling anachronism, and one that could foreshadow the ultimate message of Erik Matti’s next film. Buy Bust by Erik Matti opens in theaters nationwide on February 28. This story originally appeared on Esquiremag.ph. Minor edits have been made by the Spot.ph editors.